....is a Senior Lecturer in Ecology at the School of Biological & Environmental Sciences at the University of Stirling. Kirsty researches the effects of anthropogenic pressures on biodiversity and how best to manage this, focusing on: animal ecology and conservation in managed environments (e.g. urban, forestry, agricultural) and; impacts and control of non-native invasive species. ....is the Head of the Bat Ecology and Bioacoustics Laboratory at the University of Bristol and is an internationally renowned bat expert. Gareth has 25 years of experience in bat research, and has published 180 refereed papers, including four in Nature and has attracted a grant income in excess of £3 million. We are absolutely delighted to have Gareth as one of our Bat ambassadors! 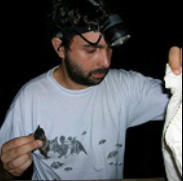 ...has been conducting bat ecology research since 1999 in Portugal, Myanmar and West Africa. His research areas include Bioacoustics, Conservation Biology and Population Genetics, Disturbance Ecology, Climate Change, Ecological Modelling, Geographical Information Systems (GIS) and Bats. Hugo's present interests have a strong emphasis on the application of research to the conservation of species while using and combining state of the art methods in species distribution modelling, molecular analyses and bioacoustics. Hugo is also involved in several environmental education events. Hugo is based at CIBIO within the University of Porto (Portugal) and the University of Bristol. 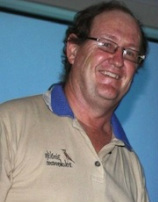 He has played an integral part of Rachael's PhD, particularly in modelling species distributions and is an Advisory Board member (Applied Research). 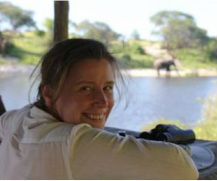 ....was Curator of Mammals, Natural History Museum of Zimbabwe, Bulawayo, followed by having a Research Fellow within the Africa Earth Observatory Networ (AEON), Departments of Geological Sciences and Molecular and Cell Biology at the University of Cape Town and is now a Research Fellow at the University of Stellenbosch. 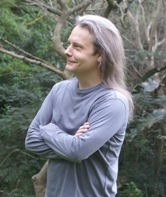 An evolutionary biologist, he has published on ecology and systematics of African bats; and biogeography landscape evolution in southern and central Africa. His studies of African vertebrates in museum collections, worldwide, alongside fieldwork across central Africa, are detailed in 53 publications (mainly on bats) that include descriptions of three new species of mammals. ...works in the Department of Biological Sciences at the University of Swaziland where he has been lecturing zoology for the past 17 years. His research has taken him across much of Africa. His academic interests are mostly centred around ecology and conservation, with special focus on small mammals and birds of prey. He has published widely, including 4 books and 63 scientific articles. ...is an evolutionary/community ecologist. He is a lecturer at the School of Biological & Conservation Sciences at the University of KwaZulu-Natal, and has published on the ecology and evolutionary biology of African bats. ...works in the Department of Environmental Sciences at the University of Venda. 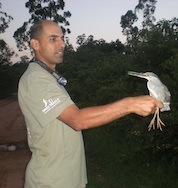 Peter previously worked for 21 years as Curator of Mammals and then Acting Director at Durban Natural Science Museum. Peter is also an Honorary Lecturer at the University of KwaZulu-Natal, a co-founder of the Bat Interest Group of KwaZulu-Natal, an invited member of the IUCN’s Chiroptera Specialist Group, a Council member of both the Zoological Society for Southern Africa (ZSSA) (currently President), and the Southern African Society for Systematic Biology (SASSB).